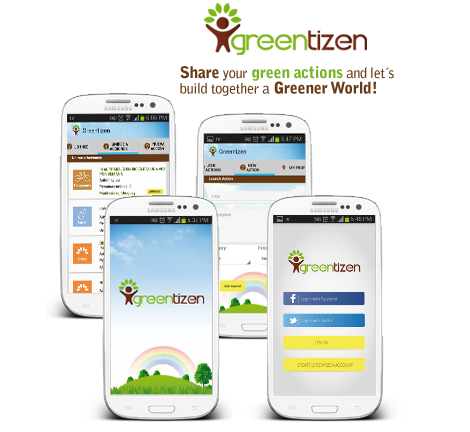 Greentizen is a platform that promotes actions to benefit the environment. Proposes to encourage users to suggest and share their environmental actions. Sylvia Chebi, co-creator and CEO of Greentizen tells us that it aims to channel those little actions people normally do, that are good for the environment, or that if they would do more often if they feel they are good for something. 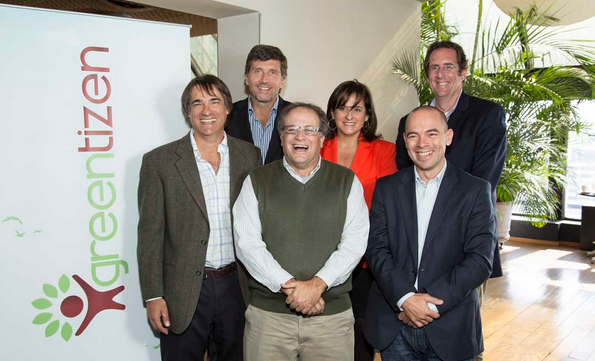 Greentizen is created by Uruguayan entrepreneurs and some of its founders are: Nicolás Jodal (CEO of Artech), Paul Brenner (CEO of Globant Uruguay), Gabriel Colla (President of Infocorp), Paul Marquess (CEO of Punto Ogilvy), Sergio Fogel (CEO of Astropay), Andrea Takahira (BidChallenge’s mentor) and Sylvia Chebi (current CEO of Greentizen). “The objective is that people make ecological actions and that these actions begin to have a coordinated shape, that is why is very important that at the time each person makes each of those actions they can communicate it”. On the development of this new stage of Greentizen two main stages can be marked: the design of both applications (web and SD) and then its development in GeneXus. The first meetings of the project were exclusively devoted to define between Sylvia and Leticia Puigvert (Art Director at Simplifica), the design, functionality and usability of both the website and the Smart Device application. The first meeting was intended only to make sure that both parties were aligned with the objectives and the product idea and afterwards, first in paper and then performing the Mockup, begin to visualize what would be the graphical interface, navigation and usability. 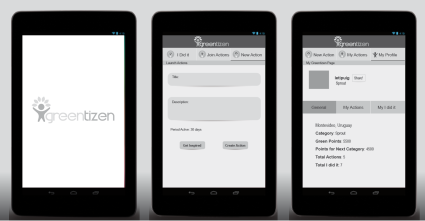 After completion of the design, the development team of Software started to develop in parallel, from the design guidelines and other material generated at the metioned stage, the Web application and the Android application. Once the development was completed, the website was published in a test environment and was sent to a small group of interested persons, the information to access it and test the site to ensure that it was ready to be released to the public. 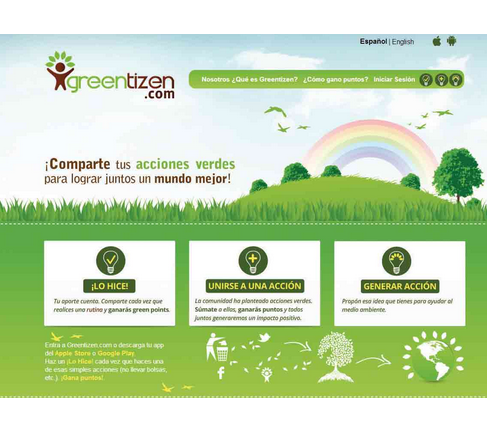 At this stage of Greentizen we worked with Simplifica either in the aesthetic and usability design and development. The whole Simplifica’s team contributed greatly always seeking for the best solution efficiently, and contributing its expertise in web development and smart devices. Simplifica added value contributing ideas and suggestions to improve the product, putting the heart and soul in the process. It is a pleasure working with Simplifica’s team. How I can participate in Greentizen? First, if you do not have a user you can create one (or use your Facebook / twitter) by clicking here. You can afterwards propose a new green action to improve the world, support existing actions or tell us your contribution for a better world in small actions called "I Did It! ".